The artists' community of Wimberley, known as the Star of the Texas Hill Country, offers a variety of art galleries and boutiques. Visit nearby wineries or experience the excitement of a zip line adventure. 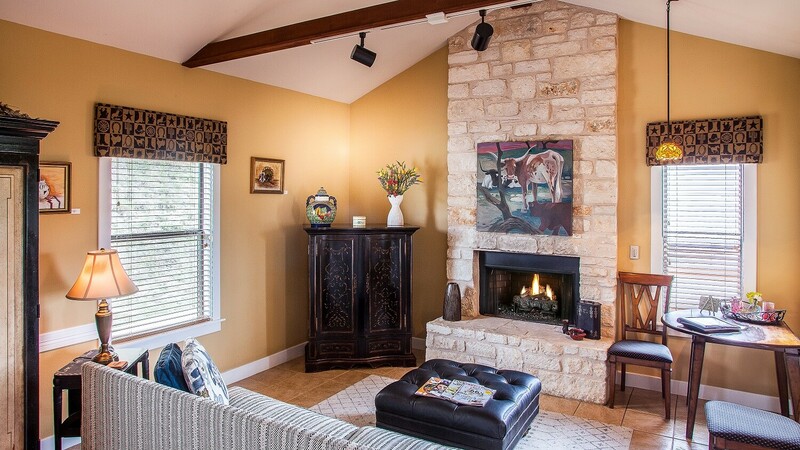 Come for relaxation or join us for one of our cooking classes held at our Texas Hill Country Bed & Breakfast. Be sure to download our free Texas Hill Country Vacation Guide to discover all of our favorite experiences. Blair House Art Gallery proudly presents an outstanding collection of art from artists around the Hill Country and the United States. From the incredible, light-catching sculpted glass of artist Bill Meek to the original giclees of Todd White, Blair House’s art gallery in Wimberley, Texas offers a unique look at the talents of the many artists of our hometown, the Texas Hill Country and beyond. Arts and crafts galleries in Wimberley display the many artists and authors who make their homes here. Hill Country scenes captured in oils, handicrafts, hobbies, and souvenirs, are available in several quaint shops and studios clustered all around the Wimberley, Texas. 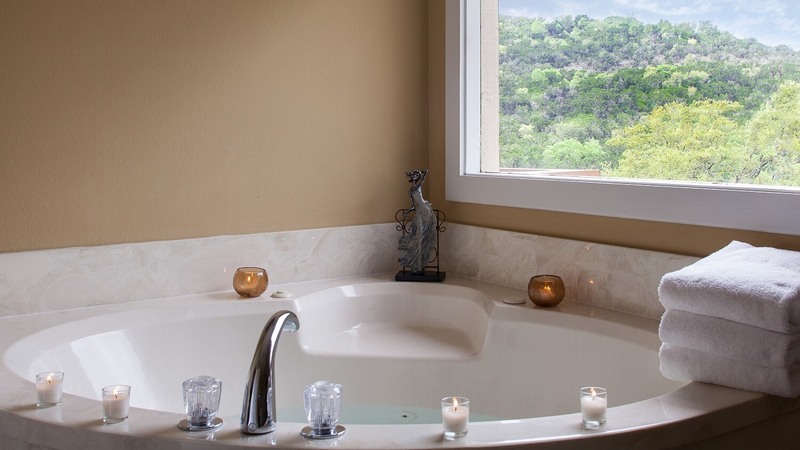 Experience the ultimate escape in our San Rafael Cottage. 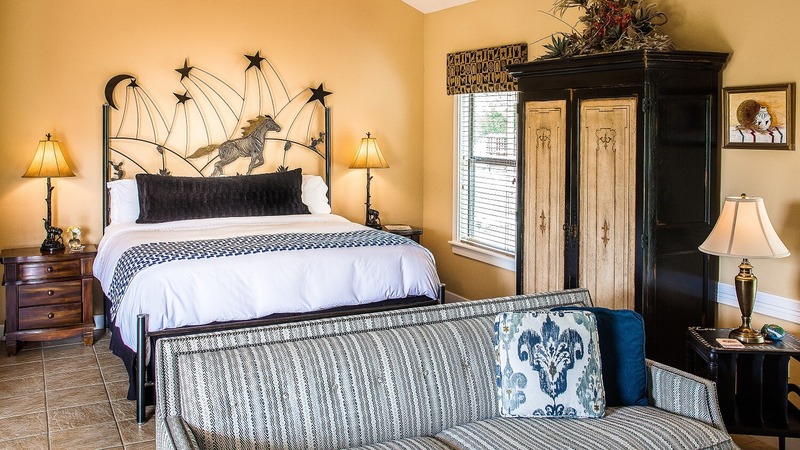 This beautifully decorated, Texas Hill Country private getaway features an opulent king size bed, custom made by Sculptor Jimmy Harwell. Relax in your spacious surroundings designed to provide you with every comfort, including a sitting area with fireplace. Book Your Stay at Blair House Inn Today! Book Your Cultural Stay Today! © Blair House Inn. All Rights Reserved 2019. Bed & Breakfast Marketing & Website Design by Q4Launch.